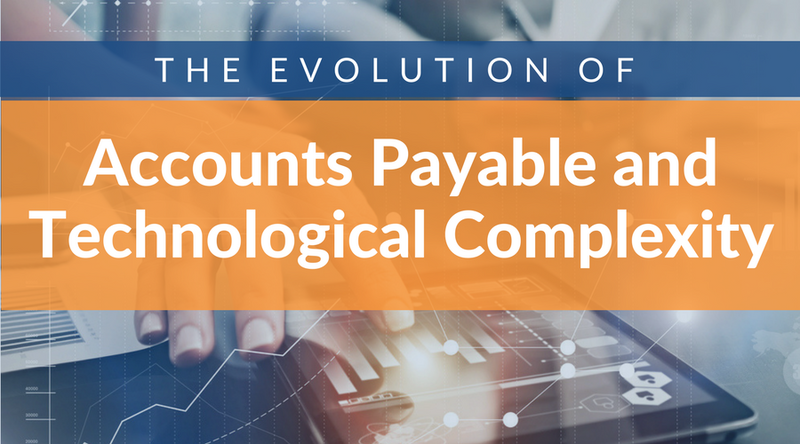 The accounts payable process has evolved a great deal since the days of the paper invoice: a slow, cumbersome system that – along with an immense paper trail––caused numerous inefficiencies. This payment method required someone from the seller’s business to draw up and deliver a paper invoice to the buyer. The buyer would then need to coordinate members of its finance and operational staff and get the requisite physical signatures onto the document. Not only was this process time-consuming––and costly in terms of human resources––but each transaction would incur a processing cost. The entire system was subject to delays and other factors caused by human error. This post will look at how technology can provide businesses with speedy and efficient accounts payable solutions. It seems the only thing that outdated accounts payable practices did brilliantly was to generate paper: one new, labor-intensive piece for every transaction the business conducted. If you look at these systems closely, you’ll notice a clearly identifiable disruption to the smooth, efficient ‘flow’ of operations between its component parts. The supplier will generate a sales invoice using an electronic form as part of their Accounts Receivable (AR) process. However, this form will often then be printed out, put into an envelope (more paper! ), stamped and then mailed to the buyer. This process is too slow and can come with high costs. Worst of all, this stage of the process is ultimately redundant because upon receiving the invoice, the buyer will then scan the invoice into their Accounts Payment (AP) processing workflow––which that same invoice will be converted back into a digital format. It’s as if the component parts of AP systems––such as the one described above do not talk to each other––requiring labor and legwork to link them together to form a productive chain. However, the good news is that technological complexity can provide a way out of this inefficiency trap. Payment technology is becoming more and more prevalent and accessible in our everyday lives. B2B payments are increasingly starting to reflect this trend as well. No company can afford to be left behind in today’s fiercely competitive and technology-driven market. Therefore, many businesses are quickly switching to mobile-based payment processing for their B2B transactions. Not only do mobile B2B payment solutions offer increased inefficiency, they also provide companies with the immense benefit of being able to store their accounts data in one centralized platform. When you have all this data in one instantly-accessible place, both suppliers and retailers are able to leverage this information productively. As mentioned above, using a web-based solution that stores critical supply chain data in the cloud can provide, from a computer or smartphone, instantaneous access to information regarding inventory levels, potential out-of-stocks, and excess inventory. Ultimately, this is one of the greatest benefits that the technological complexity of scan-based trading can bring to a business: the ability to more effectively manage inventory at the retail level. This is done by combining and aggregating what were once disparate data sets between suppliers and retailers into a single, centralized reporting and analytics platform. This integrated mobile platform can include dashboards, scorecards, alert notifications, and even report subscriptions that help to automate the oversight and smooth operation of these powerful tools. Why Should You Register Your Start Up as A Private Limited Company?